OCAT Shenzhen will present the solo exhibition System: Sui Jianguo 2008–2018 from January 19 to April 8, 2019, marking the most thorough period retrospective on the artist since 2008. This exhibition will strive to catalogue the various shifts in the artist’s sculpture creations and conceptual system over the previous decade. Curated by independent curator Cui Cancan, the exhibition will include nearly one hundred works in sculpture, documentary materials, sketches, videos and documentary films. 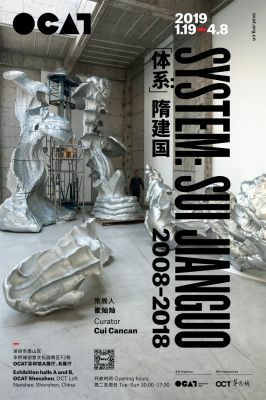 One of the most influential sculptors on the international stage, Sui Jianguo parted ways with the traditions of modernist sculpture and conceptual art in 2008 with his Blind Portraits series, and entered into a completely new conceptual context, where through numerous sustained practices in a wide range of forms, he established an independent individual system. This is the source of the exhibition title “System,” which is at once a reference to the inner structure of the creative system the artist has formed over the past decade, with the rich, diverse intellectual threads between his works; and an allusion to the artist’s broader historical awareness, his ambition to reevaluate and establish a new system of sculpture, and present his artistic practices over this period.